Shannon Turner, B.A., BSc., MSc., PhD(c)., is a well-respected senior public health administrator, researcher and advocate. Her lifelong commitment to social justice is reflected in Shannon’s nearly continuous volunteer and advocacy efforts over the last twenty years. 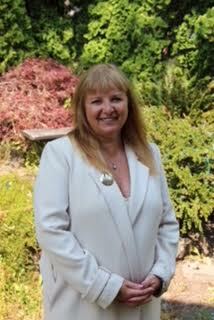 Shannon served as President, Past President and chair of governance committee of the Public Health Association of British Columbia. Currently, Shannon is the National Co-Chair of Prevention of Violence Canada and an elected board member of the Canadian Public Health Association. Shannon is also committed member of the Global Violence Prevention Alliance, and has served on the Working Group for the Assets Database and participated in numerous VPA meetings and conferences. Prior to undertaking full time Doctoral studies Shannon was Director of Public Health for the Vancouver Island Health Authority. In both her professional and personal life Shannon has been dedicated to the promotion of healthy communities, and social justice. For more than 25 years she has supported quality improvement activities across the health care continuum from local to international levels of governance. Shannon has provided decision support, health promotion, program management, information management, risk management, quality improvement and strategic planning consultant services. As a health promotion and health informatics consultant, Shannon has worked in multiple cross cultural settings and has had a commitment to reducing health inequities particularly for indigenous people.Shannon served as a keynote in an international Speaking Tour in Sweden and Latvia in 1994 and 1996 and in 2008, she facilitated a thirteen country meeting in Uganda on behalf of the East,Central and South African Public Health Associations. Shannon has been named to the Delta Omega Society for outstanding contribution to public health by the University of Hawaii. In 2008, she was awarded the James M. Robinson Award (UBC Public Health) for her significant contributions to public health. In 2009, she was presented with the President’s Award by the Public Health Association of BC for her work in rebuilding and renewing the association. Shannon Turner, has served as a foster parent, and is an honorary life member of the Vancouver Island Cooperative Preschool Association.